WEI YANG ART provides quality professional services unmatched in the field. We don't claim to be experts of all Asian art forms. We would encourage our clients to consult other experts or seek a 2nd opinion if necessary. We serve our clients based on our experience, academic training, and professional education since 2005. We serve with respect, knowledge, expertise and integrity. 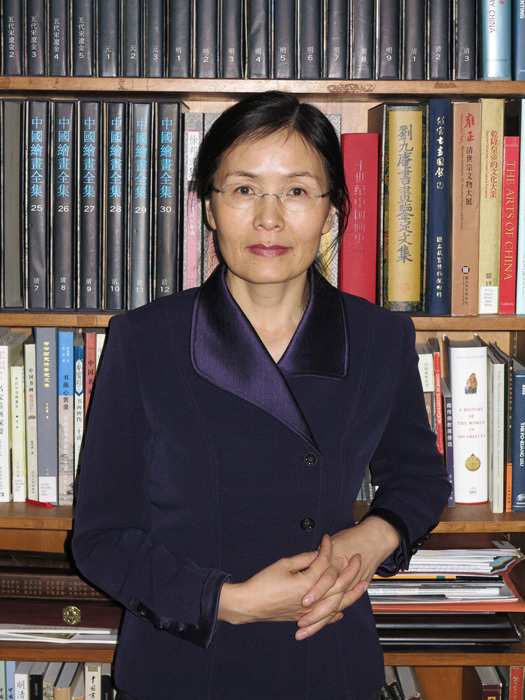 Dr. Wei Yang is an independent scholar with a Ph.D. in Chinese art and Tibetan Art. Yang has dedicated her professional life to the study of Asian art, history and cultures. Yang received a B.A. degree in Art History from Smith College (Northampton, MA) in 1997, a M.A. degree in Asian art and Buddhist art from Smith College in 1998, and a Ph.D. degree in Chinese art and Tibetan art from Northwestern University (Evanston, IL) in 2005. 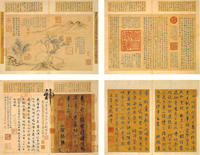 Her doctoral training in Chinese art concentrated on Chinese painting and calligraphy of the 14th century and earlier. Her extensive fieldwork in Asia provides her the needed hands-on research experience with Asian art. Her research interests on Chinese art techniques and connoisseurship, the Asian art market and art economics have allowed her to extend her expertise from Chinese art to that of China’s neighbors (Japan, Korea, India, Tibet, Mongolia, Cambodia and Thailand, etc.). 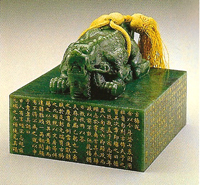 Yang also possesses a set of special language skills (classical and modern Chinese, Japanese and some Tibetan) fundamental to the evaluation of Asian art. 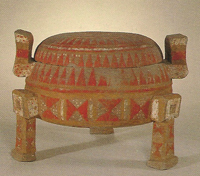 Dr. Yang is an independent Chinese art adviser and qualified Asian art appraiser. She has had a long and successful career in teaching Chinese art. To ensure the quality of her services, Yang completed all appraisal-training courses for professional appraisers, received a certificate of fine and decorative art appraisal from Pratt Institute in New York in 2008. After having passed the Uniform Standards of Professional Appraisal Practice (USPAP) exam and the test on the code of ethics for appraisers in 2009, Yang was designated by American Society of Appraisers as an Accredited Senior Appraiser (ASA) in Asian art in 2010 and Appraisal Review and Management (ARM-PP) in 2017. In order to identify condition issues with accuracy and offer adequate conservation solutions, Yang also earned a certificate of Antique Chinese Scrolls Mounting and Restoration from Chinese Fine Arts and Crafts Academy in Jinan, Shandong, China, in 2011. Yang pledges to serve her clients by complying with the highest professional standards. 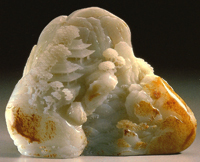 Dr. Yang is a qualified appraiser of most forms of Chinese art and some forms of Asian Art. Yang has been serving as a full-time art appraiser since 2005. She provides appraisal services for a wide range of purposes, ranging from insurance, estate, and taxation, to sales consultation. She prepares tax-related appraisals in compliance with IRS rules and regulations. She also serves as consultant, appraisal reviewer and expert witness for litigation. Yang has been serving her clients based on her experience, academic training, and professional education since 2005. Dr. Yang is the author of "Wei Yang's Guide to Chinese Painting and Calligraphy (Premodern)" (2 vols, upcoming 2019) , a comprehensive reference book for art professionals, including appraisers. She is finishing her second book entitled "Wei Yang's Guide to Chinese Ceramics." The set of three books focuses on the traditional Chinese art connoisseurship and the evaluation standards for Chinese painting, ceramics and jade, the most needed reference books in the field. No matter what your situations are or what particular needs you have, Dr. Wei Yang will be on your side. We listen to your needs, understand your concerns and appraisal budget. Once we reach an appraisal agreement, our academic qualifications and professional credentials will join force to serve your appraisal needs. We are committed to a thorough investigation of your art work, large or small, and present our opinions or findings based on evidence. We share critical information on your property in a concise manner. We strive to meet your needs at the minimum cost by offering two levels of appraisal (Restricted-Use and Apppraisal). Whether you need an appraisal for acquisition or disposition, insurance coverage or claims, tax-related affairs (income tax deduction for charitable donation, estate planning or distribution), pre-nuptial agreement, dissolution of marriage or business, or bankruptcy, you can count on us to make a clear, professional presentation on your behalf. We meet your consulting and appraisal needs with professional dedication. Our objective analysis of your property and its target market is particular important if you have limited knowledge of the art market. A well-researched appraisal report tailored to meet your individual needs will inform you, educate you, and help you achieve your goals with the knowledge of an insider. We aim to provide you with the best professional art consultation and art appraisal services. We are dedicated art consultants and appraisers, working exclusively for you. Our art appraisal report analyzes your property, its value, answers practical questions, and highlights the feasible strategies appropriate to your needs. We provide you with the crucial information you need to achieve your goals. For insurance coverage, for example, a fact-based replacement value conclusion will allow you and your insurance agent to take precautions to prevent or minimize loss. For insurance claim settlement, a thorough investigation of your damaged or lost property and its place in the current market will make the claim conversation between you and your insurance agent efficient and less complicated. Our expertise, scholarly research on your property, and professional presentation of value conclusion explains why your art work is unique and how it should be protected, preseved or compensated properly. We tailor our appraisal report to address your concerns with acquisition (purchase). The report will educate you on the artwork and the performance of works of compatible features in the current market. Information included in the report will help you understand the quality of the subject property, the rank of its artist or workshop, and the market potential of works by the artist in question. Unlike the real estate market, the art market is mysterious, difficult to learn about, and subject to significant fluctuation. Our art experts will serve as an extra pair of educated eyes on your behalf and help you achieve your goals. We offer adequate guidance on disposition (sale). We assist you negotiate from a position of strength. We guide you on the market desirability of your property with objectivity. We comment on the most appropriate marketplace with pratical solutions. We help you present your art work to the market with expert's knowledge and confidence. We also outline some adequate marketing strategies suitable to your art works. A knowledgeable owner stands a much better chance in the price negotiation. Many people assume that selling art works at the auction market is the best option. However, we disagree, since not all art works are suitable for auction sale. In general, fees entailing an auction sale include insurance, catalog illustration, buy-back reserve fees, and other charges itemized in your consignment agreement will be subtracted from the hammer price after the sale. Therefore, knowing your target market and the advantages and disadvantages of an auction sale is necessary before you enter the auction market. Sometimes, adoptiong a different sale venue, such as donating to a museum for tax-deduction, marketing-it-yourself, or posting at an online sales venue, might be a better option, as compared with an auction sale. We comply with IRS rules in preparing taxation (charitable contribution, capital gain tax, or estate tax) appraisal. We are not tax advisors, but we can help you understand IRS's tax regulations on "a qualified appraisal" and "Qualified Appraiser." We are qualified art appraisers for IRS taxation appraisals. We comply with IRS rules in meeting your appraisal needs. We work diligently to make an objective professional presentation. We are on your side from the beginning to the end. We prepare appraisals for pre-nuptial agreement or dissolution of marriage with impartiality. We understand your anxiety or desire to dissolve the situation quickly and fairly. We will follow your instructions, pay attention to details, and help resolve issues to the best of our abilities. We offer appraisals for bankruptcy (forced liquidation, orderly liquidation or salvage/scrap). We provide guidance and solutions that target the issues. Our appraisal report will allow you to stand firmly on your feet and make a convincing argument in any context. Need quality Asian art consultation and appraisal? please Contact Us, or call us at (609) 688-6891.